Today, Discovery covers more than 5.1 million clients. Discovery Insure provides benefits as well as features that are tailored to your lifestyle. With Discovery Insure’s comprehensive car insurance, you boost the retail value of your car. Select to get your car’s retail value and 15% back. With Discovery Insure’s comprehensive car insurance, you do not pay excess in the event of theft-related or weather-related claims, and if an accident was caused by an insured third party. With Discovery Insure’s comprehensive car insurance, emergency assistance is also provided. This includes DirectionAssist as well as TripMonitor. With Discovery Insure’s comprehensive car insurance, you also have excess flexibility. Select your own excess for all other claims. With Discovery Insure’s comprehensive car insurance, you select car hire or Uber. Receive up to 30 days of car hire or select Uber services as an alternative while your car is being fixed. With Discovery Insure’s comprehensive car insurance, you lower your car’s write-off percentage. Select to write off your car at a lower level of damage. What are your Discovery Car Insurance options? 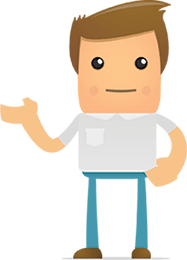 Find out more about your Discovery Car Insurance options! 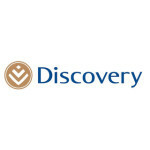 Discovery Insure offers various plans: The Essential Plan, The Dynamic Plan, The Classic Plan and The Executive Plan.